For decades Morocco has been a popular place to travel for Europeans. Particularly in winter, the holiday destination is ideal for escaping the cold. 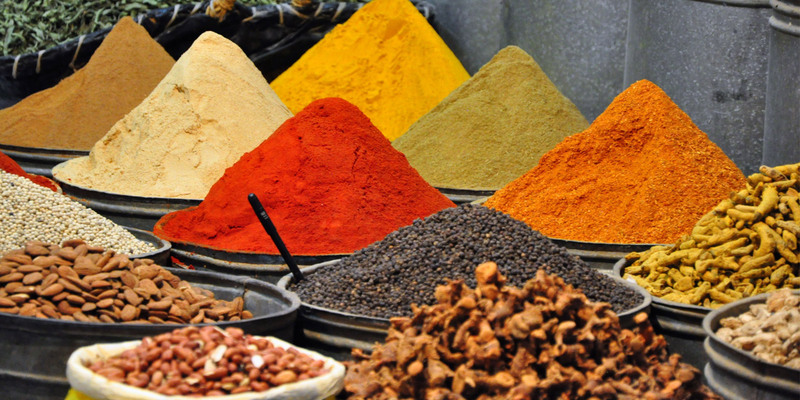 Tourists are allured by the intense scents of spices and teas, the friendly mentality of the Moroccans and the endless vastness outside the cities. 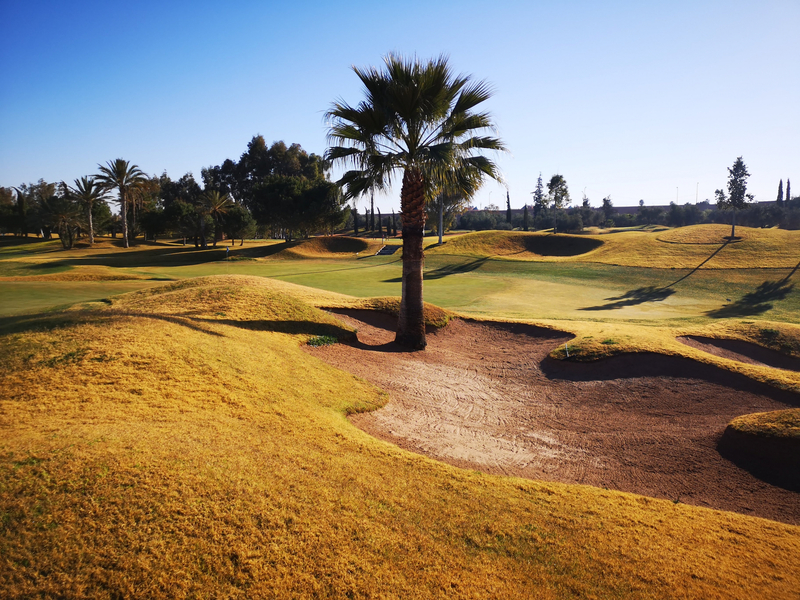 Golf in Morocco has become an important branch of tourism, so let’s have a look why that is. Thanks to the warm temperatures in winter and the short flight times, the country in northern Africa is ideal for a shorter or longer holiday. 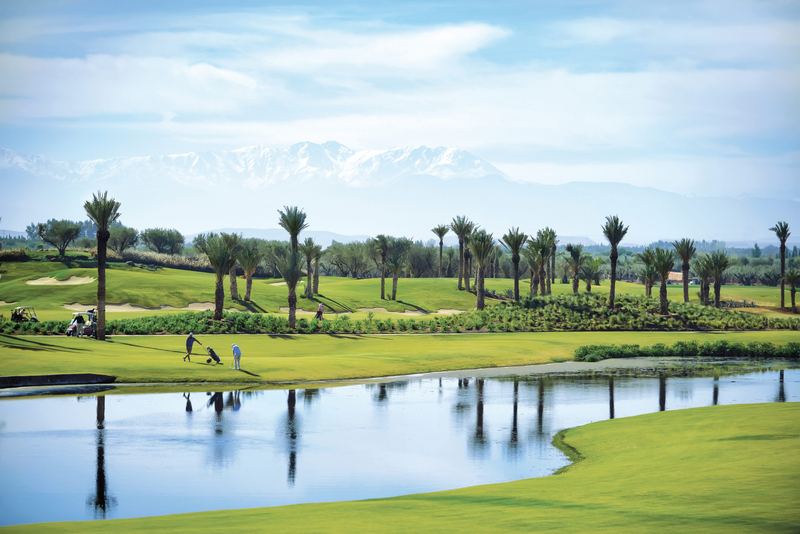 Of the around 40 golf courses in Morocco, about half are near Marrakesh, the “red city”. 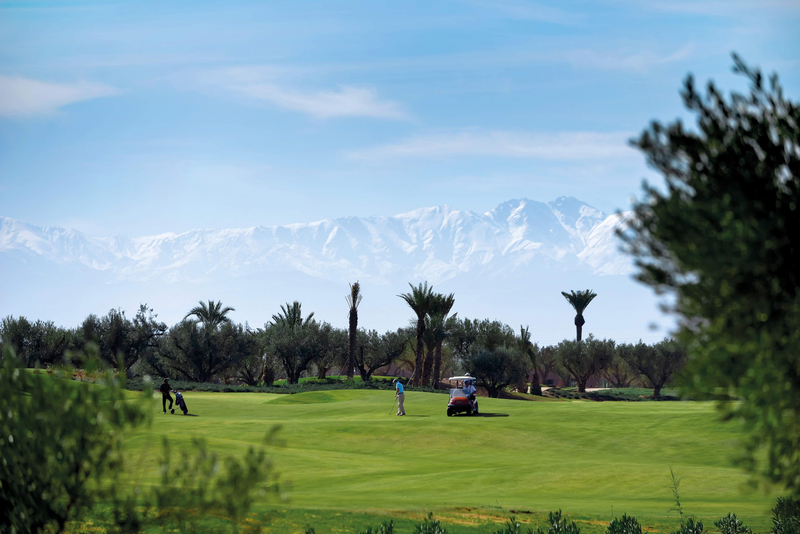 So it is not surprising that Marrakesh has established itself as the golf Mecca of North Africa. Marrakesh has meanwhile worked its way up to become the country’s secret capital. No wonder, the city is committed to tourism, which is why all the major hotel chains are spread around the city. The city can be divided into the historical old town, which has lost nothing of its charm and attracts with its wonderful markets and beguiling scents, where goods of all kinds are offered on the huge market square and in the smallest alleys. On the other hand, there is the extended district around Marrakesh, where the hotel complexes are located, a large road network is built up and you can quickly get to the old town. There are 19 golf courses within a 30-minute drive. The oldest, Royal Fairmont, was built in the 1920s. Although, most of them were built in the last two decades and testify to the huge boom that golf is currently experiencing in Marrakesh. And rightly so. The golf courses are in excellent condition all year round and offer a great variety to suit every golfer. Of course, there is a wide range of travel agencies with suitable offers. 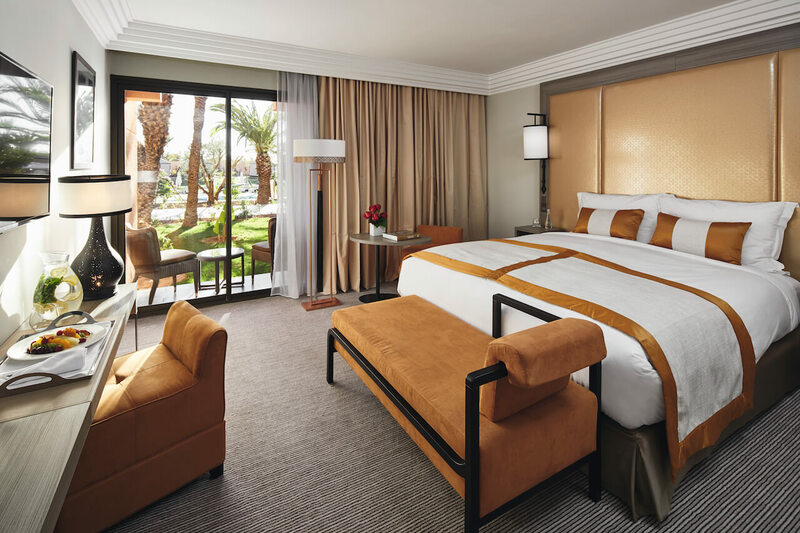 But thanks to the very helpful Moroccans in the hotels, it is no problem at all to find the hotel of your choice and book the golf courses yourself. The hotels offer their own transport services in limousines, or there is the possibility of “grand taxi” or “petit taxi”, where you can communicate wonderfully with a mixture of English, French, hands and feet. These trips are often a little adventure. Even though you have to negotiate a price in advance, you always feel safe and sound in the taxis. And the drivers are very friendly at least 50% of the time – the other half we simply did not understand. The hotel’s own limousine driver articulate in a fluent and professional english. All around a really good course, absolutely recommendable. A glimpse of the huge driveway gives an idea of what awaits you here, andthere is no doubt left when you arrived at the club house. “Royal Palm” – the name says it all. The course is generously laid out, entertaining and varied. The quality of the course is simply outstanding. With a view of the Atlas mountains in the south, surrounded by palm trees and cleverly designed water ponds, you really do feel royal. And the golf experience is topped off by soft bunkers, luscious fairways and fast greens. If one had to look for a point of criticism, it would be the occupancy during the rush hours. 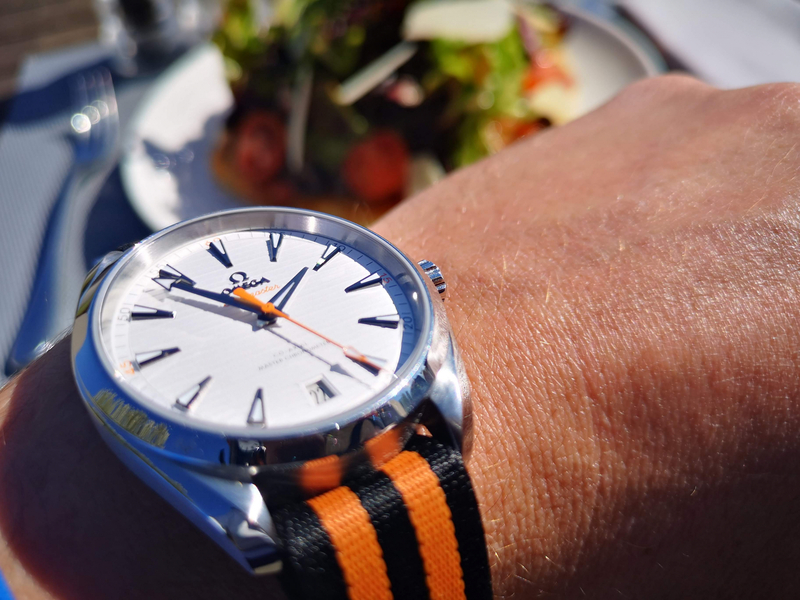 After the round – or in our case between front- and backnines – the friendly atmosphere of the restaurant veranda invites you to stay and the food is simply outstanding. 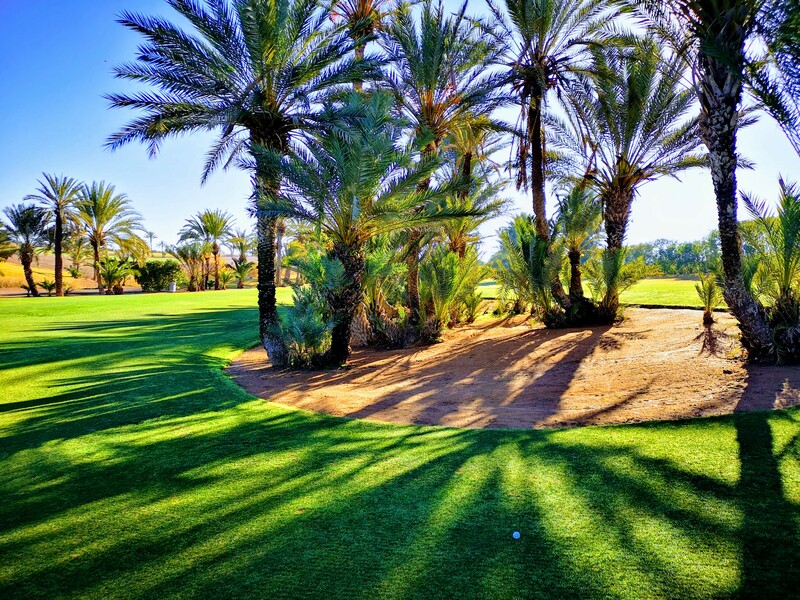 Is considered the favorite golf course around Marrakesh. We are happy to call it number 2 in Marrakesh. The most important advantage is the layout. The “Desert Style” course by Niall Cameron is rather hilly and a truly exciting to play. A place where a good score could be within reach, especially for long hitters, that, however, gets forgotten completely by the picturesque view. 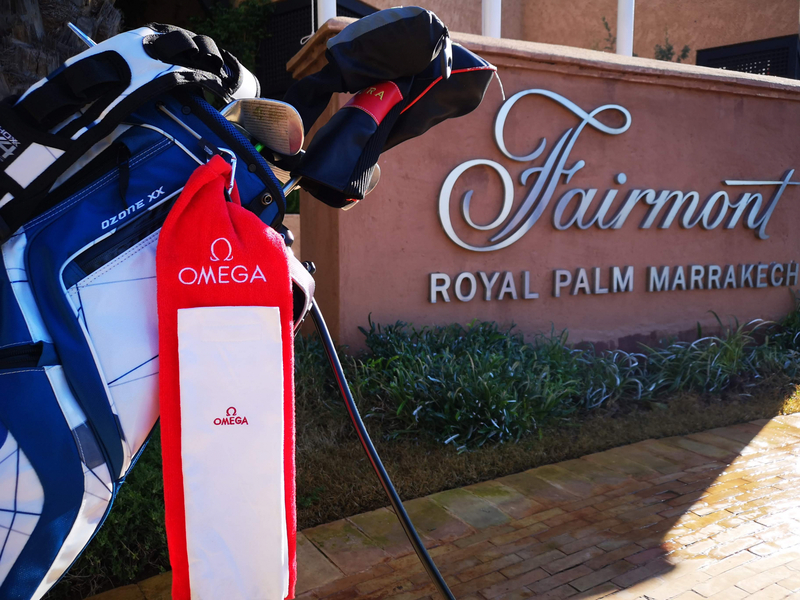 The fairways are a blast (desert course!) and the eye can’t get enough of the wonderful architecture of the different holes. With a proud length of 6’440 meters, the course is a challenge in itself. However, it is guaranteed to be a memorable golf day even for higher handicappers. 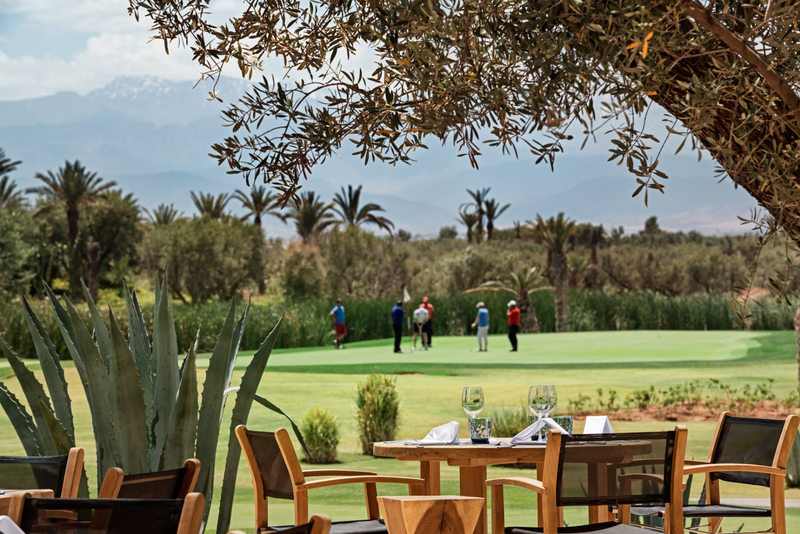 The restaurant is magnificently laid out and has a view of the golf course with the Atlas Mountains as a backdrop. The only point of criticism is the staff at the Restaraunt, who were neither too friendly nor too attentive. 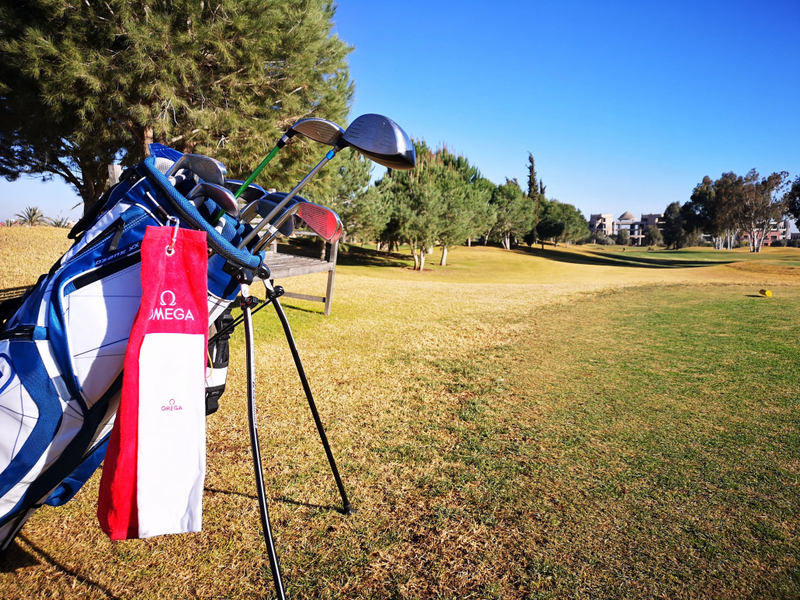 Nevertheless, an excursion to Golf Assoufid is a well spent day. The Atlas Golf Course is a 9 hole course, which is why it receives less attention than its “big brothers”. Undeservedly, as we think. First of all: we didn’t play a golf course that had better greens and didn’t find friendlier staff anywhere else! 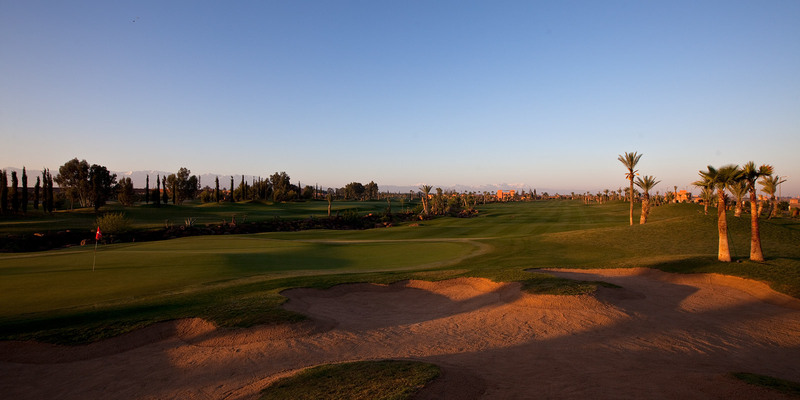 Actually, the course is rather untypical for Marrakesh. Due to the proximity to the red city and its lack of land, the course is rather narrow. Therefore, the 9 courses are close to each other, yet very cleverly designed. Nowhere else did we have more trouble to play our handicap – a 9-hole course with all the ingredients necessary for a satisfying golf day. 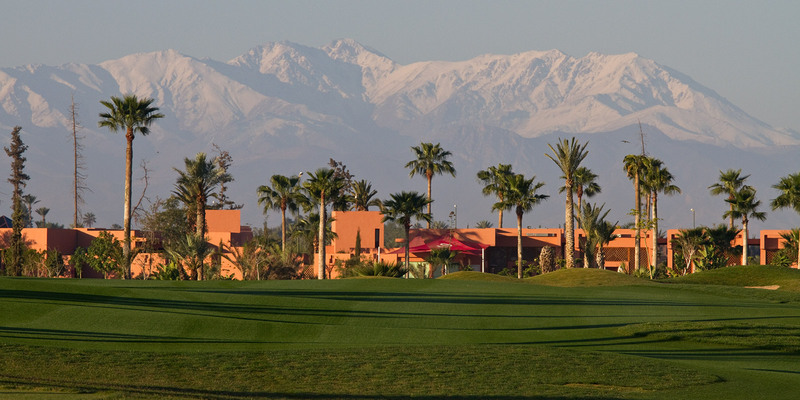 We strongly recommend to include Atlas Golf in your agenda on your next Marrakesh trip. 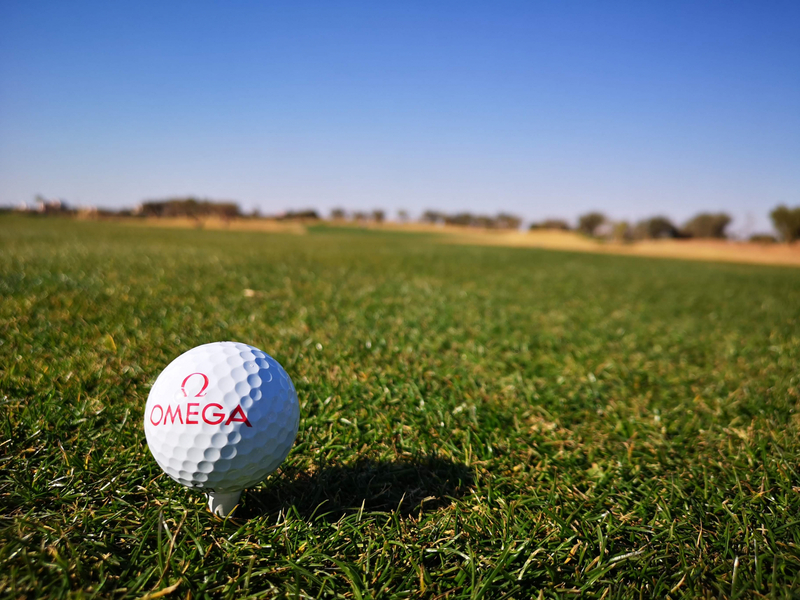 Due to its proximity to the city and the relatively short playing time, the course is ideal to play on days when there are other points on the agenda besides golf. So you may experience something of the enchanting city or the adventurous country and yet combine it with your golf passion. And as we are getting used to from Marrakesh: it is a must to eat after the round. On the cosy terrace with view of two strongly undulating greens behind the water hazard you will be rewarded with delicious local specialities as well as culinary classics of high quality. All the large hotels are located in the central district of L’Hivernage. From here you can reach the airport within 15 minutes or the Medina Old Town within 5 minutes. 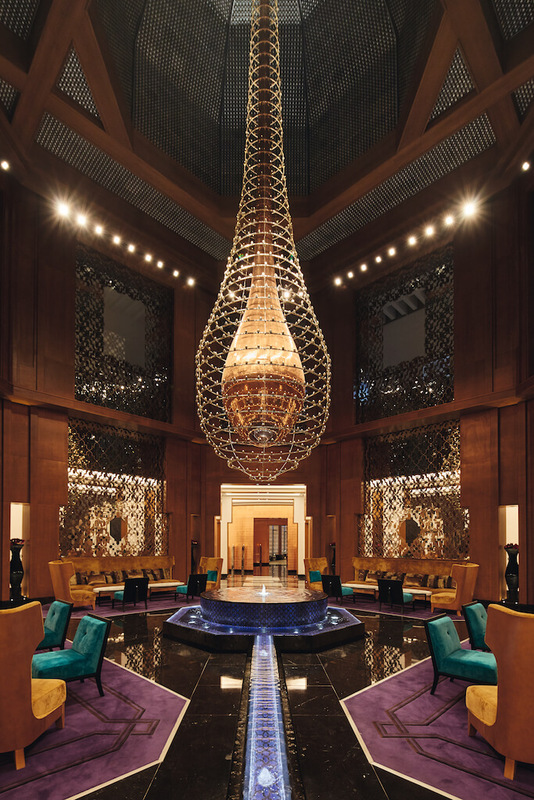 The flagship hotel is the 5 star Mövenpick Hotel Mansour Eddahbi. In 2016 the hotel was reopened after a (allegedly 100 million dollar!) reconstruction and is already considered the place to be in Marrakesh. But not only the ideal location speaks for the hotel. Pure luxury awaits you in the well-kept and clean hotel. Each of the 503 luxurious rooms has its own balcony and offers a wonderful view over the roofs of the red city. 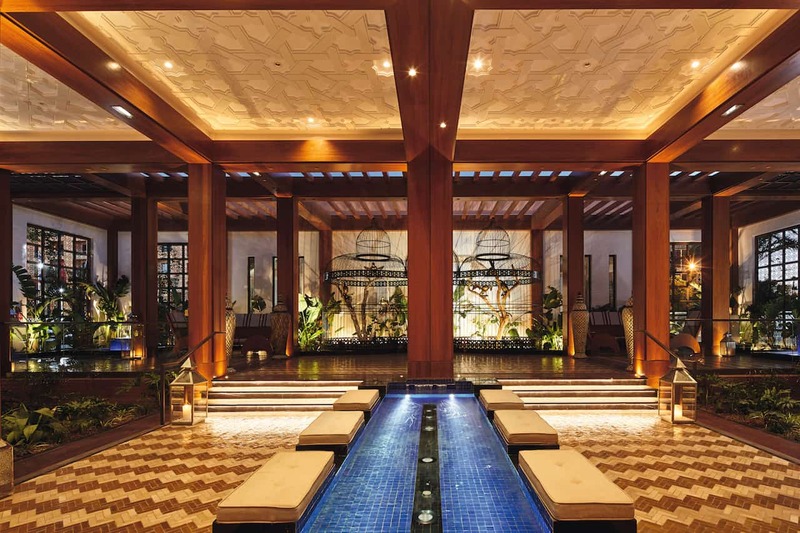 The spa “Ôde Rose” welcomes you with steam showers, several hamams and a pool landscape that reminds of an oasis. After a day of golf, you’ll be guaranteed to relax and calm down. And to complete the circle: the outstanding gastronomy. 5 restaurants and a bar will fulfil every last wish of yours and you will feel like in One Thousand and One Nights. Whether breakfast, dinner or room service, the kitchen leaves nothing to be desired and excels with its high quality ingredients and a captivating selection. High quality of the courses from November to February, while the courses in central Europe are covered white.